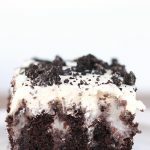 You are going to love this Oreo Pudding Poke Cake! Homemade chocolate cake, combined with delicious Oreo pudding, and topped with homemade whipped cream and more Oreos. This chocolate cake recipe is my absolute favorite, and I knew it would make an absolutely perfect poke cake. 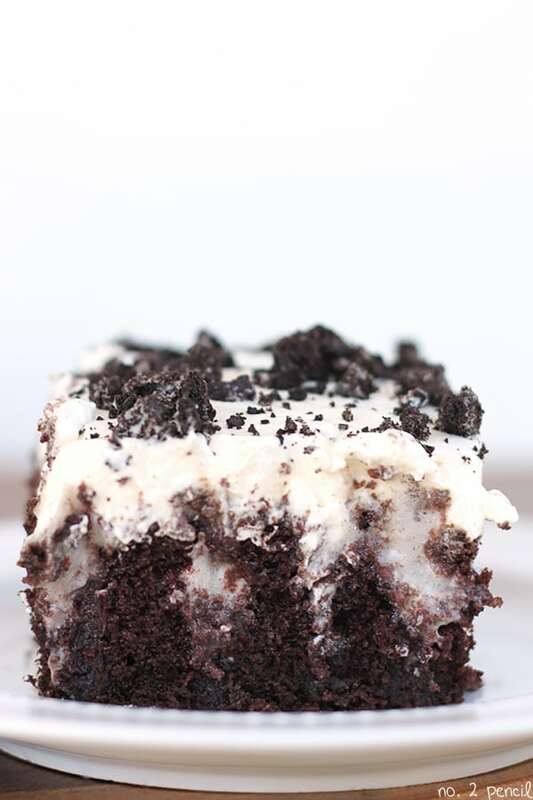 The cake is already rich and moist, and the addition of the Oreo pudding makes it even better! Oreo Pudding Poke Cake is truly a must-bake. Combine dry ingredients for cake in bowl of stand mixer. Stir slowly to combine dry ingredients with paddle attachment. Add eggs, milk, oil, and vanilla and mix well, scraping down sides of bowl as needed. Turn mixer to lowest speed and slowly add hot coffee, be careful of splashing. Bake cake for 35-40 minutes. Let cake cool 10 minutes so it is warm but not hot. When cake is warm, use the end of a wooden spoon to poke holes all over. Working quickly so pudding does not set up, mix Oreo pudding mix with two cups of milk and pour over cake and into holes. Some pudding will set up on top of cake. Cover and chill cake in the refrigerator for 1-2 hours. Once cake is chilled, prepare whipped cream using a stand mixer and whisk attachment. 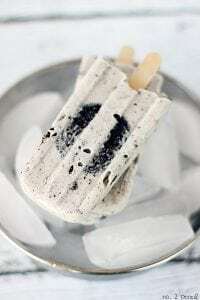 Spread whipped cream over cake and top with crushed Oreos. Cake recipe adapted from Hershey's Perfectly Chocolate Chocolate Cake. Oh my goodness – that cake looks amazing!! I can’t wait to make it. 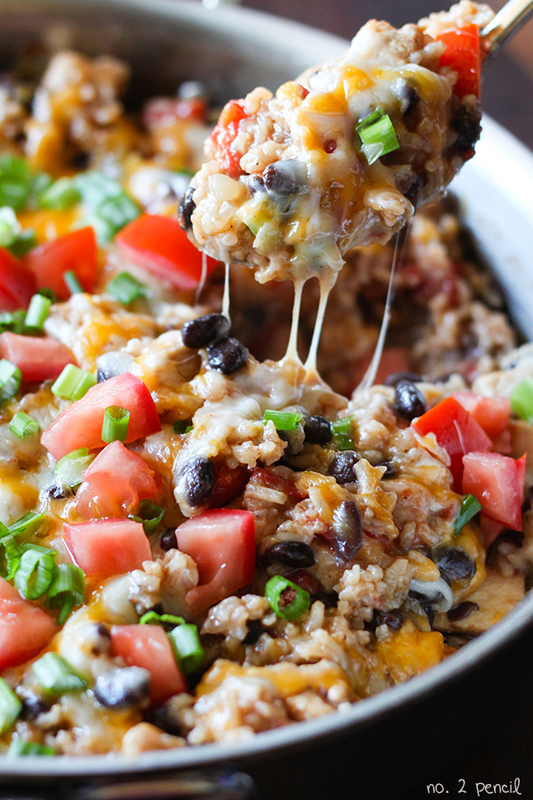 Thanks for sharing the recipe with us!! Yum! Yum! Yum! Totally pinned! How long would you say this keeps for? 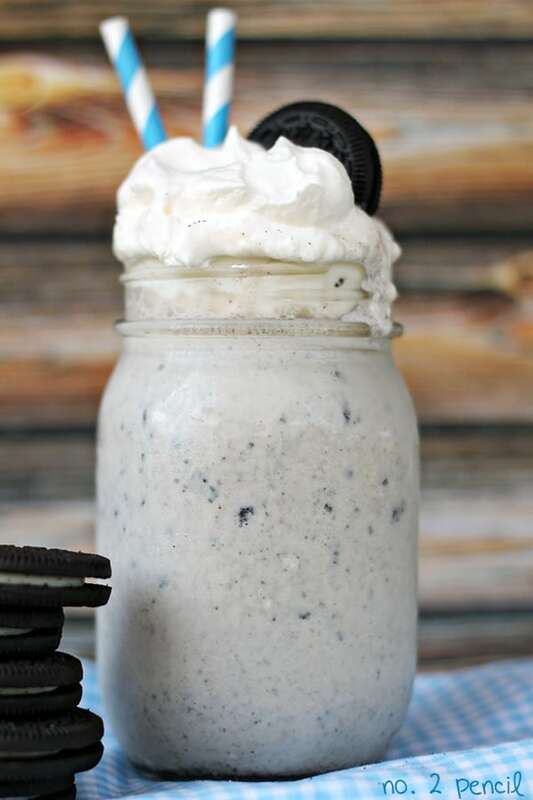 Oh my goodness that looks amazing; we love Oreos! Girl, you just know what I love!! This cake looks so scrumptious! I love poke cakes and this one sounds fabulous!! What could I substitute the coffee with?? Hi, do you think this would work for a two layer cake? Thanks! Looks great 🙂 what could you use in place of the coffee? Thanks! Just use the same amount of water. Thanks for the question! I made this cake this weekend for the Superbowl party I was going to. It was soooo good! Got rave reviews. Thanks for the recipe!